Ray Sikes creates an engaging and vivid world with characters that are altogether believable and human. 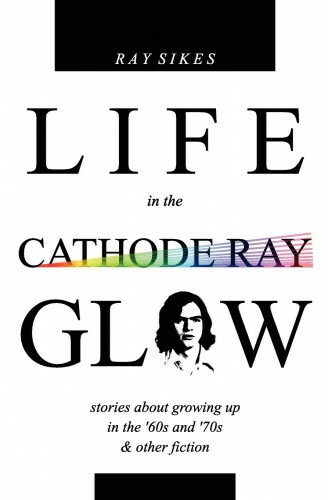 This collection starts off with a dozen stories about a boy growing up in the ’60s and ’70s. As a child, he colors with only a black crayon and lives a fantasy life as a space traveler. Later, he joins his brother in a sadistic war against invading 17-year locusts and impersonates daredevil Evel Knievel on a chopped spyder bicycle. He plays sports in the days when kids weren’t handed trophies for merely showing up, gets into fights, and is both captivated and mystified by girls. Like many disenchanted teenagers of that era, he smokes dope, plays Led Zepplin songs in a cover band, and remembers exactly where he was when Lynryd Skynrd’s plane crashed. Five miscellaneous stories round out this compilation. In them a hunter feels displaced by modern life, a celebrity roast is held for a dead comedian, an old man predicts the devastation of Hurricane Hazel in 1954, an elderly lady relives her life in a night, and a botched robbery reveals hypocrisy at a neighborhood drugstore. At various times nostalgic, humorous, and poignant, these stories above all else depict life as it is actually lived. All of them have some trenchant point to relate and leave one thinking more deeply about some aspect of our human existence.